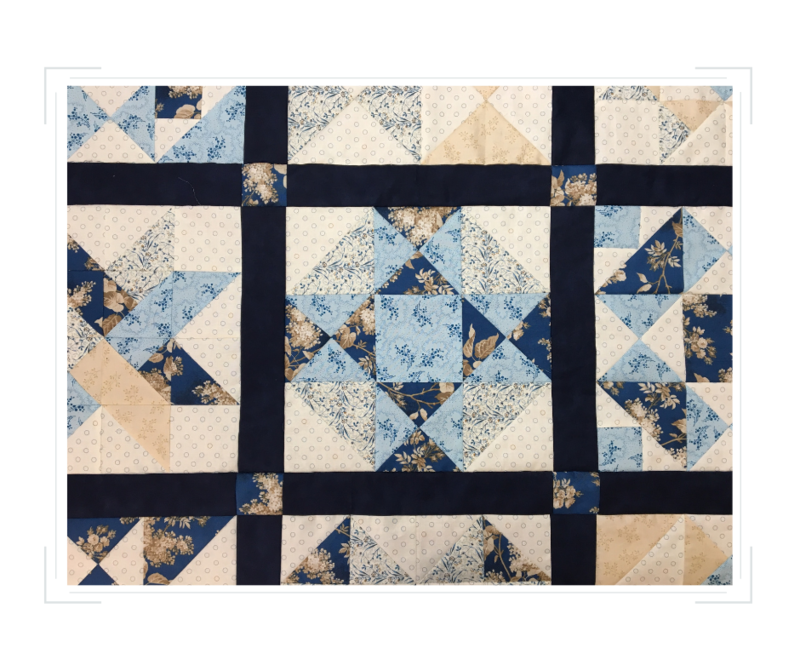 Learn all the ins and outs of your Tucker Trimmer Tool while making a variety of units to create this sampler quilt. Accessible for ALL levels of quilters, even if this is your first quilting project! This special tool is utilized in 33 different basic units used in piecing. Explore and enhance your piecing techniques while creating this lovely quilt. Measures 54" x 68". Can easily be enlarged. SPECIAL! Pay for all classes in full when you sign up and get the 7th class free! 1) The 3rd Wednesday afternoon of each month from 1 pm - 4 pm. Start date April 17th. 2) The 3rd Saturday morning of each month from 9:30 am - 12:00 pm. Start Date April 20th. $22.50/month. Includes fabric (your choice), pattern and instructions. Required tool sold separately ($41.00) or bring your own!